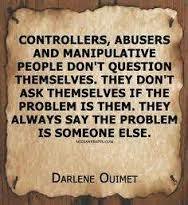 Narcissistic people never seem to amaze me, their destructive abilities sometimes still blow my mind. With all that I have come to learn and understand about these selfish, self righteous and ruinous humans, I still, on occasion shake my head. What becomes more astonishing to me over time, is how grossly and completely unconscious they truly are. Their self-righteous, sanctimonious and hypocritical mentalities are enough to be able to concur and divide the masses, this is no lie. It is disconcerting and very troubling to me how they are able to band together with other’s like them and cause such catastrophic destruction. Their hostile intents can, have and will cause irreparable damage in all corners of the world. Their vile and unpleasant energy holds no reasonable value, not in their actions, their words or their intentions. Egotistical people do not hold consideration of any kind, not for those of us who are working diligently to aid in soothing this planet in whatever way possible, some of us have made it our life’s mission. It seems to be more and more apparent to me now how surrounded the Lightworker’s are, and how much harder we are going to have to work to overcome the forces of the narcissistic. My spiritual alarm clock has made a noise that I had not heard before, the sound blasted from all corners of my home, it completely and utterly took me by surprise. But rest be sured, the power and intelligence of the conscious intuitive mind makes no mistakes. We would not have been assigned our Lighworker role, were we not perfectly qualified. Since we are made in the image of compassion and all-loving, we are able to heal anything, most importantly ourselves. This is a time to like never before to go within, this is a time to trust your intuition more than you have ever known, make sure your internal tools are cleaned and sharpened, and let the healing truly begin.